It ruined Christmas in 2017! Muscle pains, chills, fatigue, fever, loss of appetite, congestion, headache, nausea, and a sore throat. No! I did not drink spoiled egg nog or unwrap a set of bear claw meat handlers. You guessed it… I had come down with the terrible and awful seasonal flu. Have you ever had the flu? What about your employees? If the seasonal flu would find a way to penetrate your company and infect multiple team members—what would you do? I started feeling awful near the end of my Tuesday on December 19, 2017. Two days later… the nausea started to show his ugly mug. That same day, I was diagnosed with the flu and was instructed to stay home, in bed and away from others, until Christmas Eve. I was not feeling well enough for the family and social gathering, so the flu officially ruined Christmas! The first step is to get the annual flu vaccine. 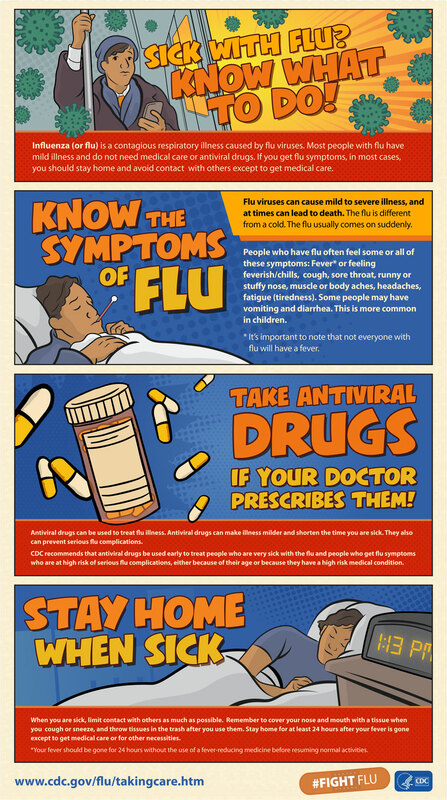 The next step is to continuously protect yourself and others during flu season. Workers are encouraged to use proper personal hygiene practices – wash your hands frequently, avoid touching your nose, mouth and eyes, cover coughs and sneezes with a tissue, and clean your hands after coughing, sneezing or blowing your nose. Employers are encouraged to educate workers on the flu’s signs and symptoms – cough, runny or stuffy nose, body aches, headaches, fatigue, etc. Encourage employees to stay home if they feel sick. You certainly do not want to see the rest of the team drop like bowling pins. Before the flu strikes, keep the workplace clean. The Occupational Safety and Health Administration (OSHA) says to “Frequently clean all commonly touched work surfaces, work areas, and equipment (e.g., telephones, doorknobs, lunch areas, countertops, copiers, etc. ).” If you, as a leader, encourage these and other proactive techniques, then your team and your company may spare effects from the terrible and awful seasonal flu. The seasonal flu vaccination is the best preventative measure employees can take to fight the flu. 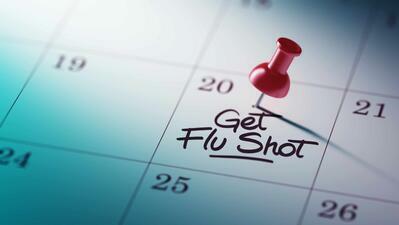 The best preventative measure for employers is to host a flu vaccination clinic. A Checklist for Businesses and Employers. Five Steps – 1) Organize a clinic, 2) Schedule the clinic, 3) Promote the clinic, 4) Host the clinic and 5) Document successes (and failures) to determine ROI. Always educate your team about the flu (e.g. vaccine benefits, signs and symptoms of the flu and the company’s flu prevention and response policy.) Promote best practices regarding personal hygiene. If a worker is sick, encourage him or her to stay home.